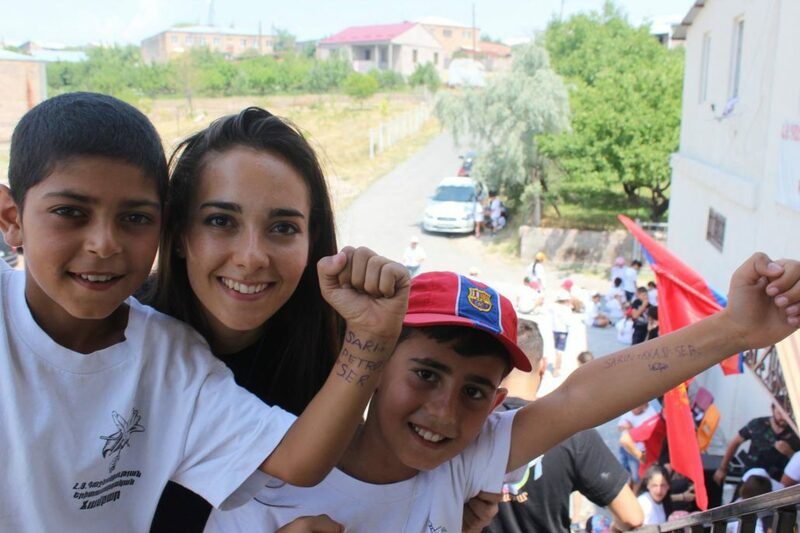 The AYF Youth Corps program provides a unique opportunity for Armenian youth in the Diaspora to establish and strengthen ties with the homeland. The program began in 1994 after a cease-fire agreement was signed, ending the violence in the Nagorno-Karabakh conflict. Between 1994-2007 the AYF sent Youth Corps volunteers to Nagorno-Karabakh to help rebuild many of the war-torn villages in our newly liberated Artsakh. 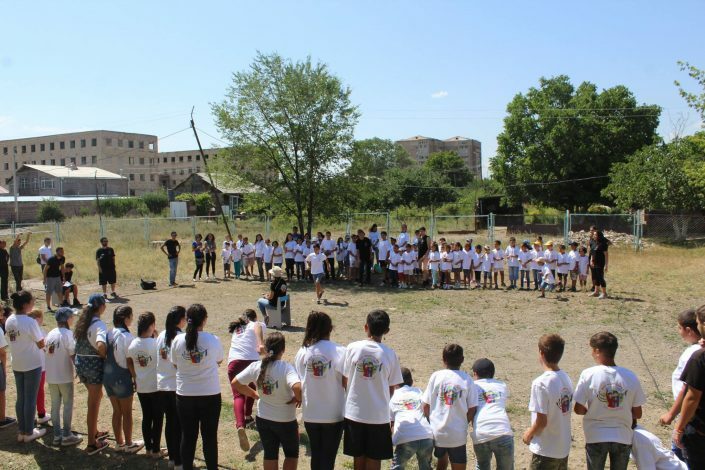 In 2008, the AYF Youth Corps program shifted from rebuilding shattered buildings to operating a summer day camp for underprivileged youth in Gyumri, Armenia’s second largest city. With the establishment of the camp, Youth Corps volunteers were able to provide hundreds of children with an unforgettable and productive summer. Since 2011, the program expanded from one location Gyumri to multiple other campsites across Armenia and Nagorno-Karabakh. The Youth Corps program is 6 weeks long, with 5 weeks of volunteer work and 1 week of touring. 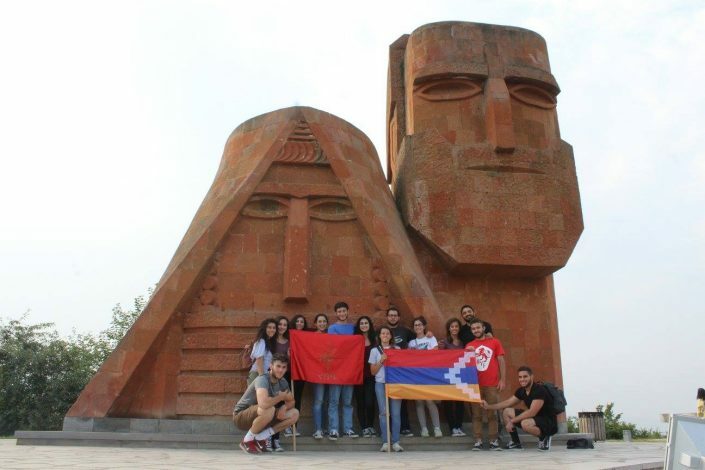 During the first week of the program, Youth Corps participants spend time traveling throughout Armenia, visiting historic sites and enjoying the excitement of Yerevan. The following 5 weeks are spent working as counselors at day camps for underprivileged youth in multiple towns across Armenia and Nagorno-Karabakh. From its inception, Youth Corps has been empowering young Diasporans to take a hands-on approach in the nation-building process of Armenia. 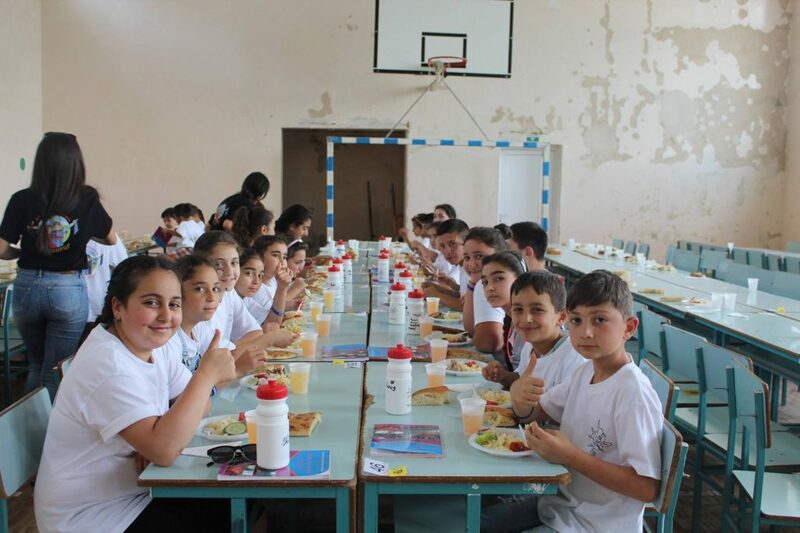 The summer camps continue the program’s long tradition of giving young Armenians from the United States a chance to make a direct impact in the homeland and on the lives of Armenia’s most impoverished children and families. Through this summer camp experience, campers learn basic English, patriotic songs, arts and crafts, as well as learning about the diversity of the Diaspora and tolerance for our differences; all of which are critical in helping them grow to become members of a healthy civil society. The camps accept hundreds of children every summer and provide a safe and fun environment for them to build new friendships and acquire new skills. 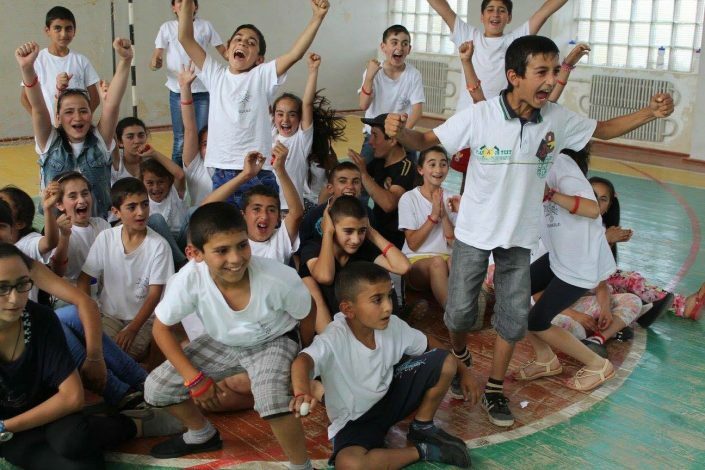 The camp program is just as special for its counselors, who plan the curriculum, teach the classes, and spend six months ahead of their trip doing grassroots fundraising in their local communities to raise the money needed to run the day camp and live in Armenia. 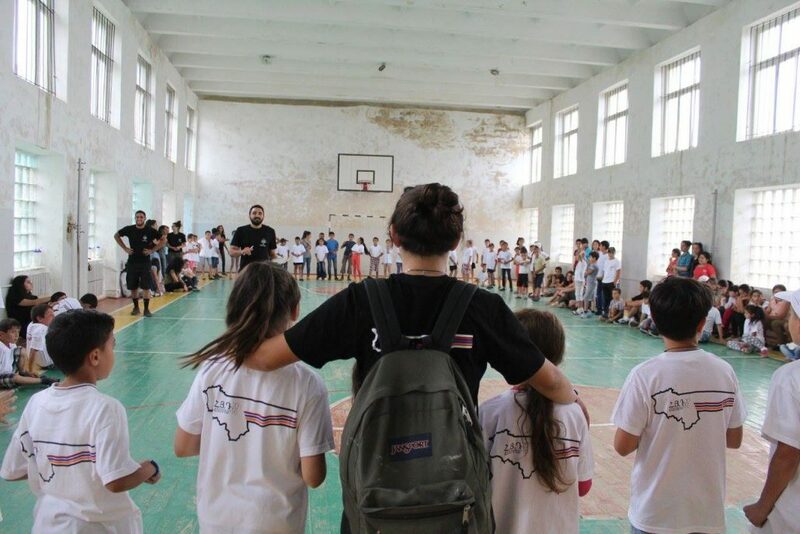 In addition to volunteering with kids, Youth Corps participants travel throughout Armenia, Nagorno-Karabakh and Javakhk, experiencing historic, exciting and off the beaten path adventures. Participants can expect to visit such traditional sites as Lake Sevan, Echmiadzin, Dzidzernagapert, and Sardarabad, as well as unique destinations like the ancient Monastery at Tatev, Karahunj and sites throughout Nagorno-Karabakh and Javakhk. This combination of touring and volunteer work is perfect for both first time visitors and frequent travelers to Armenia. AYF Youth Corps is open to all youth, who will be 18 or older at the start of the program, and who are motivated and enthusiastic about helping Armenia. The AYF Youth Corps program runs for 6 weeks, usually starting early July and ending mid August. During the touring portion of the trip, participants stay in Yerevan. During the volunteer portion of the trip, participants stay in a house with shared facilities. The cost of participation varies year to year, with an average cost ranging from $1,500-$2,500. This includes round-trip airfare, food and other personal costs. Please keep in mind these are approximate costs, and your individual costs will vary based on your spending habits. I’m not in AYF, can I still apply to the program? Absolutely! The program is open to all youth over the age of 18. I can’t afford the cost of the trip, but am still interested in participating in the program. Should I still apply? Who is in charge during the program? There is always at least one individual assigned to each group as the group leader who is responsible for the program while in Armenia. The group leader will be the main organizer and point of contact during the program. He/she will guide the group to make sure everything runs smoothly and everyone has a good time. I don’t speak any/very little Armenian. Will that be a problem in volunteering? That shouldn’t be a problem. The other participants, as well as the group leader, will be able to help you communicate. It’s actually a great opportunity to strengthen your Armenian language skills! I’ve already been to Armenia, can I just join the volunteer portion of the trip? Participants should be involved during the entire duration of the program. We have found that this maintains the cohesiveness of the group and adds to the overall experience, but please discuss any particular concerns or circumstances with us, at the contact information below.